Another milestone for DRDO Defence Research and Development Organisation conducted a successful test of the supersonic endo-atmospheric interceptor missile from Abdul Kalam Island (earlier known as Wheeler Island) Odisha. The interceptor missile was launched against multiple simulated targets of 1,500 km class ballistic missile. The mission objectives of the test were successfully met. One of its target was selected on real time and the weapon system radars tracked the target and locked the missile on to it and intercepted it in mid-air on sea surface with high degree of accuracy. The complete test including engagement and interception was tracked by a number of electro-optical tracking systems, radars and telemetry stations. 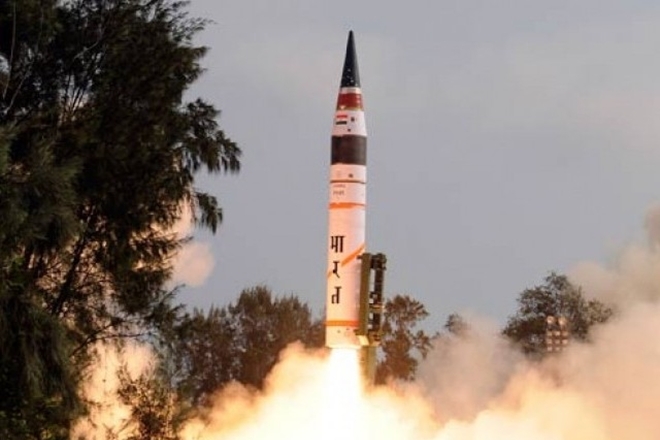 This test validated some improved features incorporated in the interceptor missile while its major health parameters including its ‘kill’ effect already have been validated in earlier tests. The endo-atmospheric interceptor missile is yet to get a formal name. It is 7.5-metre long and is capable of intercepting incoming targets at an altitude of 15 to 25 km. It is a single stage solid rocket propelled guided missile. DRDO has spearheaded India’s double-layered interceptor ballistic missile defence (BMD) programme. It consists of two interceptor missiles, Advanced Area Defence (AAD) missile for endo-atmosphere or lower altitudes and Prithvi Defence Vehicle for exo-atmospheric ranges. DRDO expects the deployment of this indegenous BMD shield by 2022. It will make India the fourth country in the world after US, Russia and Israel to successfully build an effective anti-ballistic missile system. Q1. From where did the DRDO conducted a successful test of the supersonic endo-atmospheric interceptor missile? Q2. Where is the test site located? Q1's answer Abdul Kalam Island.